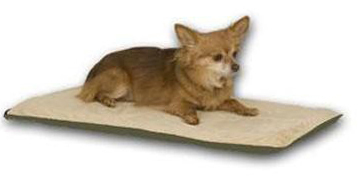 K&H Pet Products Thermo-Pet Mat Mocha 14" x 28" x 0.5"
Its convenient size, 14" x 28", fits almost anywhere, providing a dual thermostatically controlled warmth when in use. 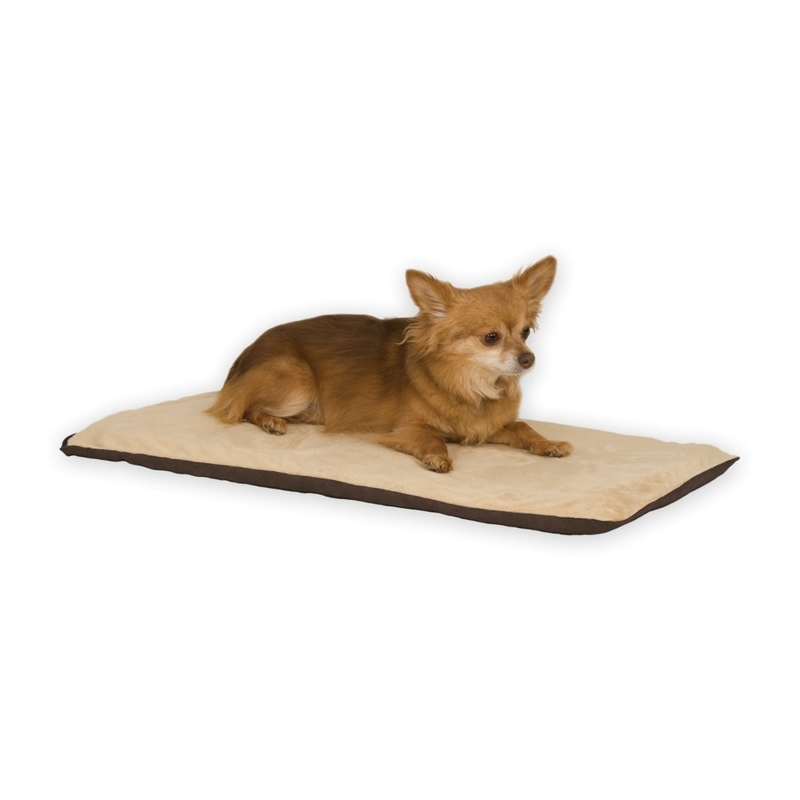 The Thermo‐Pet Mat is available in 2 colors, with removable washable covers. All K&H heated beds and pads feature dual thermostats and are designed to warm to your pet's normal body temperature when he/she lies on the pad. When your pet is not on the pad, the heat will dissipate into the air and the surface temperature will vary according to the ambient air temperature. Dimensions: 14" x 28" x 0.5"
14" x 8" x 3"